What is a worksheet? A worksheet is a page or piece of paper that is used to record, store, and sort different kinds of data that are usually data for work that is currently in progress. Worksheets may also refer to activity sheets or papers that contain a list of tasks and questions for students to answer. 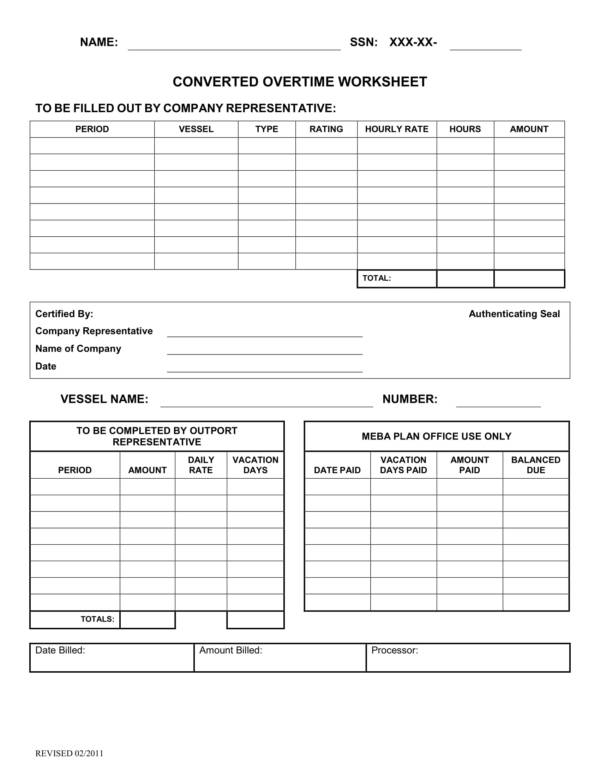 you may also see Sheet Template. Our main topic for this article is a worksheet that is used in many companies and businesses to keep track of their employees’ work hours. This particular worksheet is called an overtime worksheet. 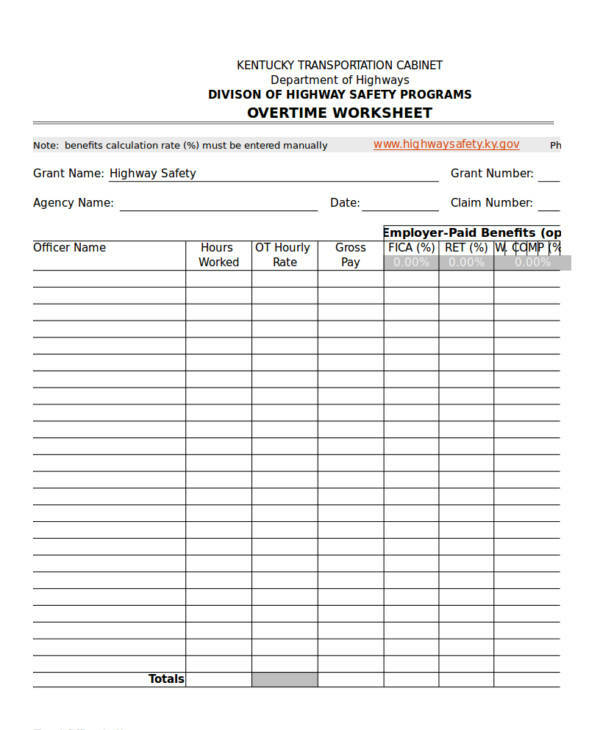 We have supplied the necessary overtime worksheet samples and templates in this article to serve as your visual aid or reference if you need one. You may also download and use them however you want to. 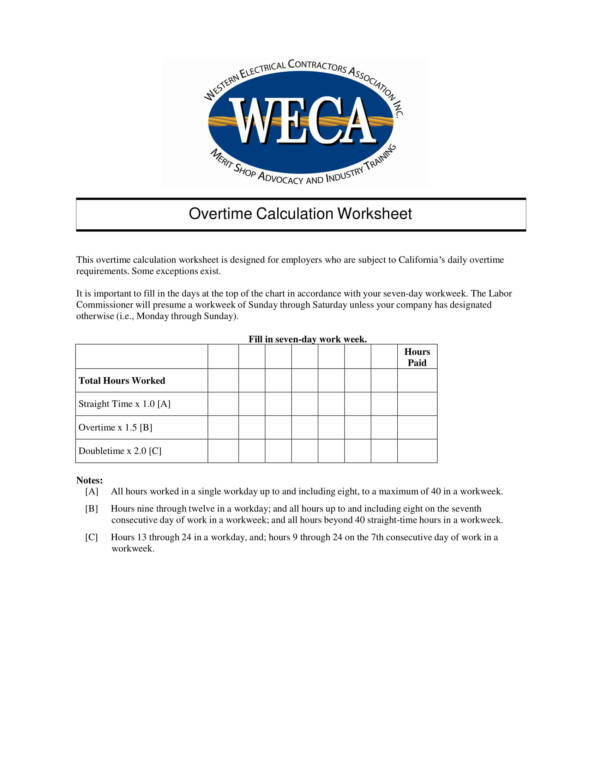 What Is an Overtime Worksheet? Overtime is defined as the additional time that you have spent working on top of the regular shift hours that you are supposed to work. Every now and then, employees go overtime to catch up with work or beat the deadline for a particular project. It is essential for any company or business to keep track of their employees’ overtime hours because overtime rate is calculated differently from the usual work hours of an employee. Overtime worksheets are used for this purpose. Other uses of an overtime worksheet are as follows. you may also see expense worksheet samples. 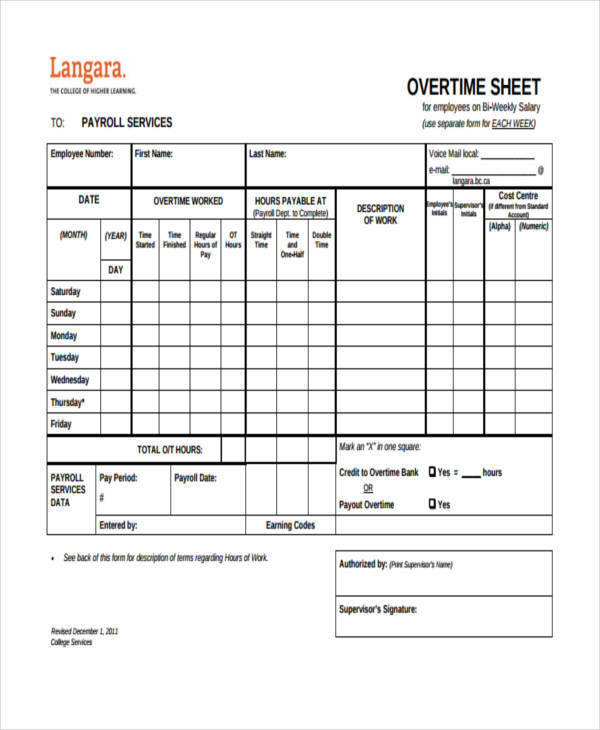 Overtime worksheets are used to log and record the daily overtime hours of every employee who goes on overtime for a particular cut-off period. you may also see Action Plan Work Sheets. The worksheet is also used to make it easy to sort and calculate data that has been entered in the sheet, which is proven to provide accurate results. Overtime worksheets help employers point out who among their employees are going over the overtime work hours mandated by law, which could greatly save them from legal troubles. 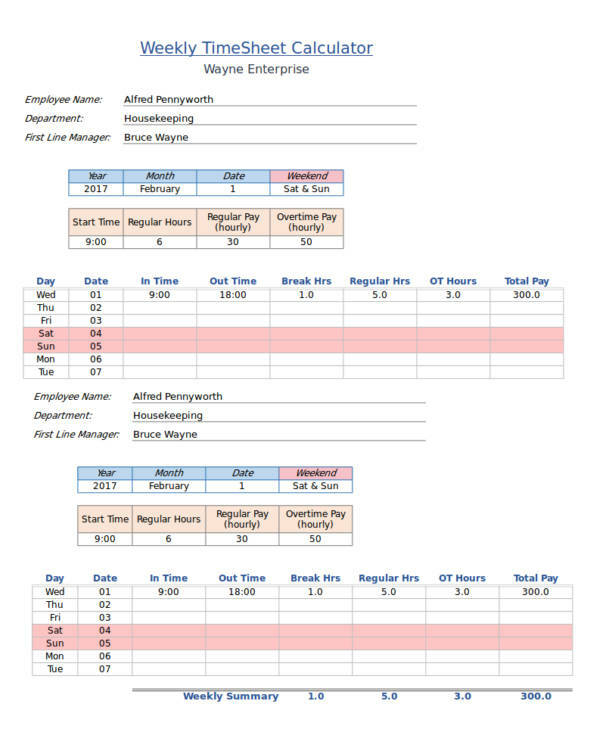 you may also see Employee Timesheet Templates. 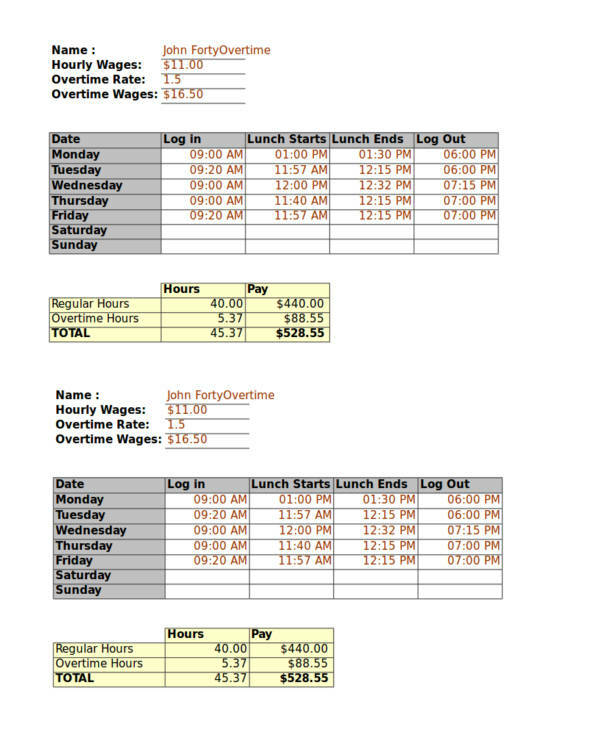 The work hours logged and recorded in an overtime worksheet is used as the basis of the computation for an employee’s overtime pay. Overtime worksheets provide an easy and convenient way for storing important employee work information to ensure that all employees are compensated accordingly. 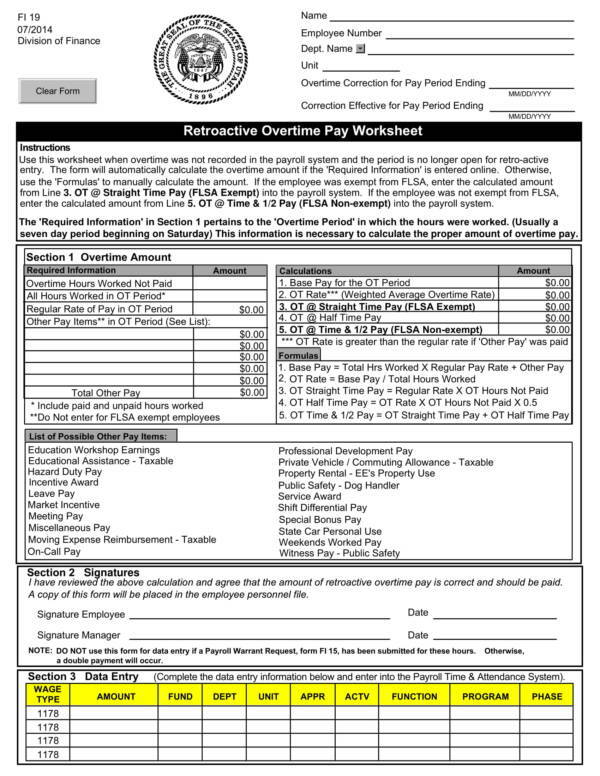 It serves as a documentation that proves an employee’s overtime work hours in cases where there are mistakes or disputes found on the employee’s pay. you may also see Budget Worksheet Samples. 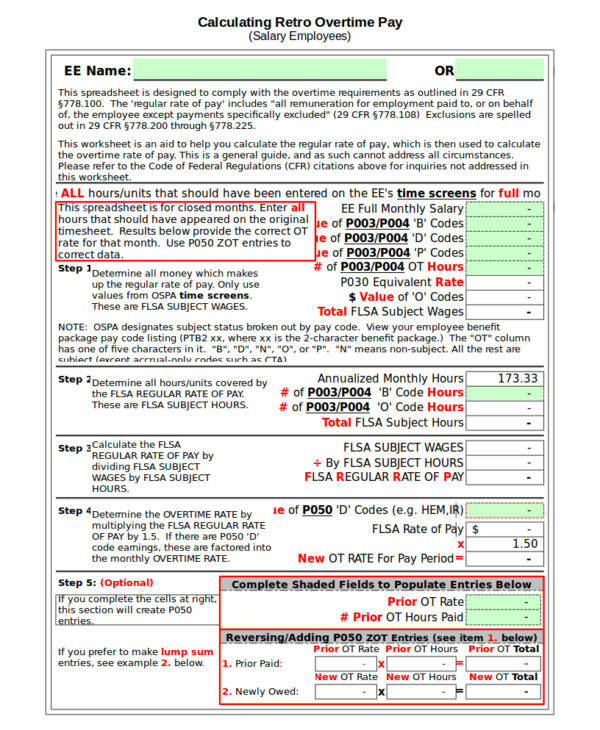 If you have noticed, the use of an overtime worksheet has something to do with payroll and how an employee’s salary is computed. This is one of the reasons why the use of this tool is given emphasis and importance. You can refer to free sample worksheets to create your own, or use existing worksheet templates like home budget worksheets. There is so much that an employee needs to learn about overtime regardless if they have overtime hours or not. This is because there are different laws and regulations that surround the topic, and being ignorant of these laws will definitely not do you any good. Here are the things that you need to know about overtime. you may also see hourly worksheet samples and templates. Former President Franklin D. Roosevelt signed the Fair Labor Standards Act (FLSA) in 1983. It is an act that entitles employees to get paid if they work overtime. Employees who work more than 40 hours per week should be paid time and a half by their employer and should be reflected on there next paycheck, or the next pay cut-off. you may also see Sample Percents Worksheets. Not all employees are entitle or get paid overtime even if they work for more than 40 hours per week. Managers and employees who are tasked to manage or supervise two or more employees in the workplace are not paid overtime. Employees who can hire and fire employees, and those who earn more $455 per week also don’t get paid overtime. you may also see Sample Statistics Worksheets. Between the federal government and the local government, whichever law that provides their employees with the most overtime compensation benefits is the law that should be enforced in that state. Knowing about overtime is like learning about your rights so that you can take advantage of them. You can track your own overtime hours too or other work-related activities that you want to keep a record of. Other worksheet sample and templates you can refer to are daily worksheet templates. What Is Time and a Half Pay? Time and a half pay is the term used in the United States that refers to the overtime rate of pay of an employee or their overtime premium. Employees are paid time and a half if they work more than 40 hours per week as mandated by the federal government and should be followed by all employers and business where the law is applicable. you may also see sample time worksheet. Employees who work overtime or more than 40 hours per week get paid 50 percent more than their regular employee rate per hour of overtime that they have rendered. You can simply say that a time and a half pay is equal to an employee’s regular rate plus half of that amount. In figures, you will get the numeric equivalent 1.5 and an employee’s regular rate is multiplied to it to get the overtime pay amount. you may also see Sample Household Budget Worksheets. How Do You Figure Out Overtime Pay? For some, calculating overtime pay is tough and confusing. Calculating your overtime pay is easier than you know. You just need to learn about a couple of things related to it and have knowledge of the basic mathematical operations, then you should be good to go. The steps below will help you do the calculations easily. you may also see Sample Multiplication and Division Worksheets. To calculate how much you are paid in total for overtime, multiply the number of hours you worked overtime by your overtime rate per hour. you may also see Algebraic Multiplication Worksheets. And the last thing that you need to do is to determine how much you earn in total for the week. 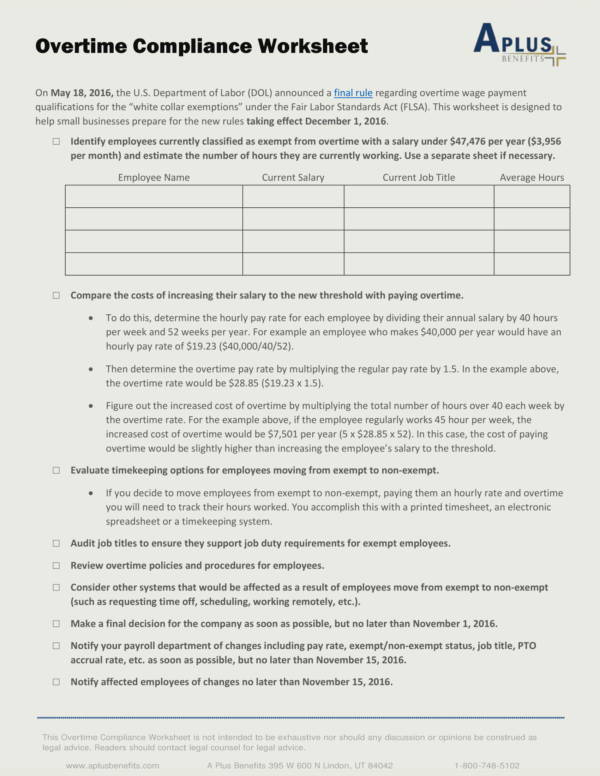 Simply add your total pay for the week to your total overtime pay. you may also see Long Multiplication Worksheets. And that is how much you will be earning in a week using the sample values provided. 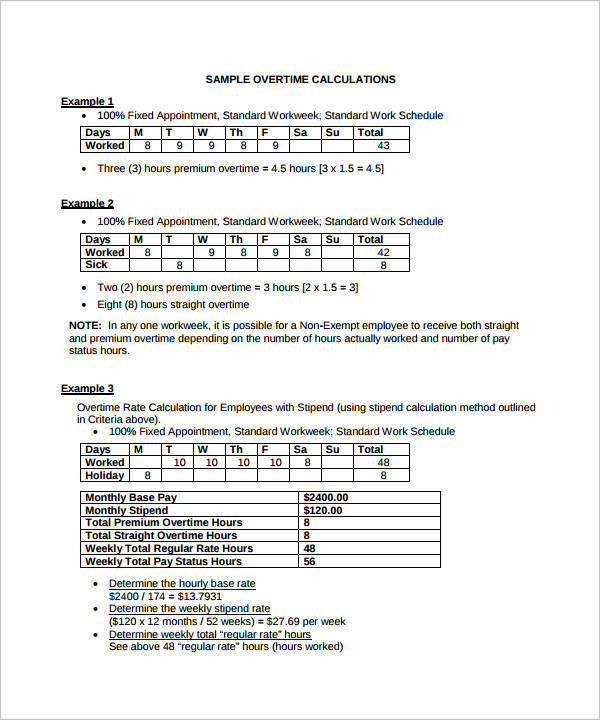 Don’t you just find it easy to calculate your own overtime pay? You would be looking forward to payday if you know how much you are earning. 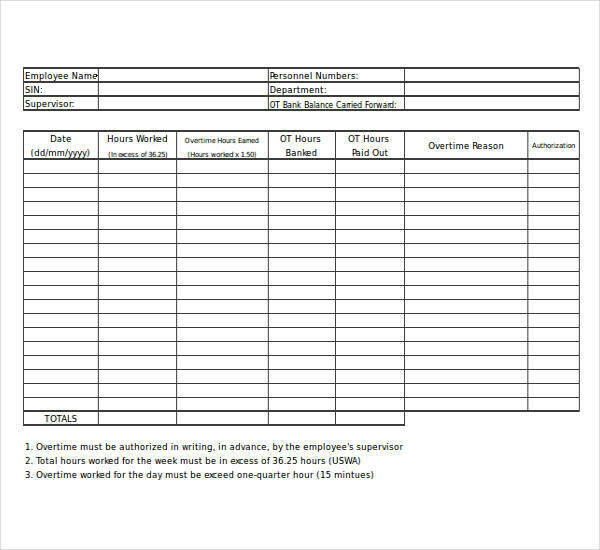 So start keeping track of your overtime hours and start using an overtime worksheet. Other related titles you will surely find interesting are Strengths and Weaknesses Worksheets, How to Create a Startup Costs Worksheet, and Sample Household Budget Worksheets. 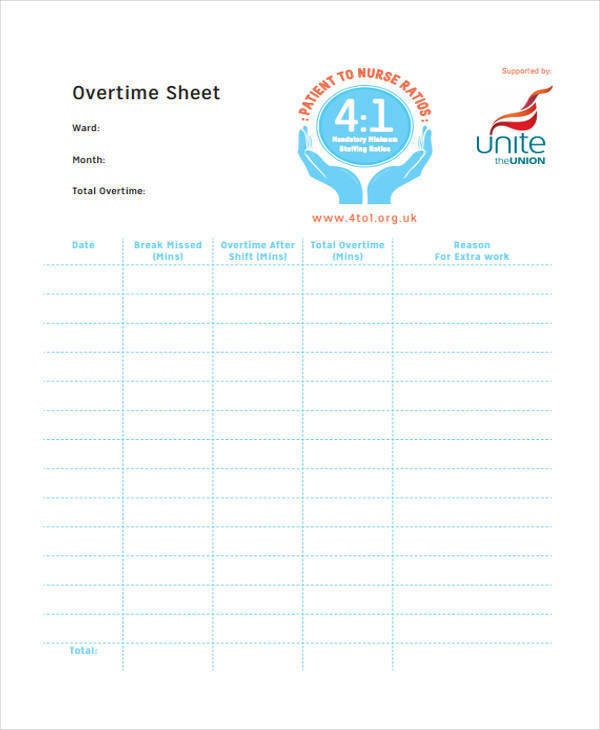 Overtime worksheets provide and easy and convenient way for anyone to record and keep track of their overtime hours and other related activities. Worksheets that are created in Excel can be easily sorted, analyzed, and computed as these features are available in the application template. You can choose a variety of worksheet templates online that you can download and use for whatever purpose it will serve you. There are many worksheet templates that are offered for free so you don’t have to spend a penny to be able to get one. 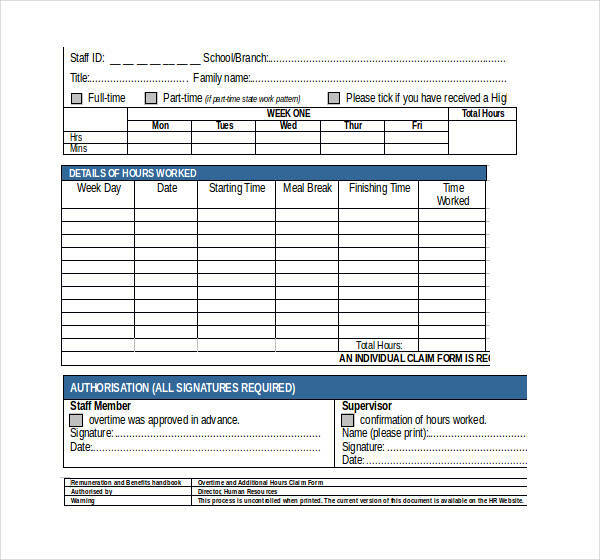 Overtime worksheets can be customized and edited according to one’s needs and preferences. This is because they are often created in file types that are user-friendly, like PDF, Word, and Excel. The most popular file type used for worksheet templates are the one’s in Excel because they make data tracking and data organization convenient, and the they provide accurate results to computations. you may also see Statistics Worksheets. 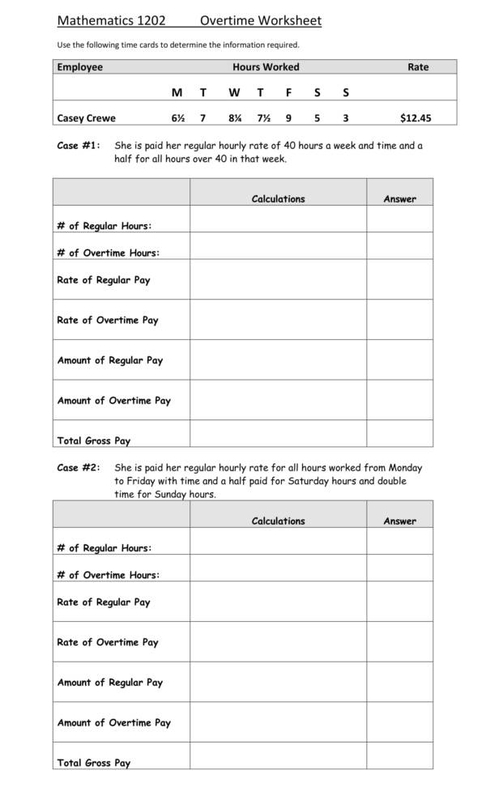 Overtime worksheet templates can be reproduced and reprinted as many times as you want. I would use an overtime worksheet template. With all these advantages, why wouldn’t I be interested in it? 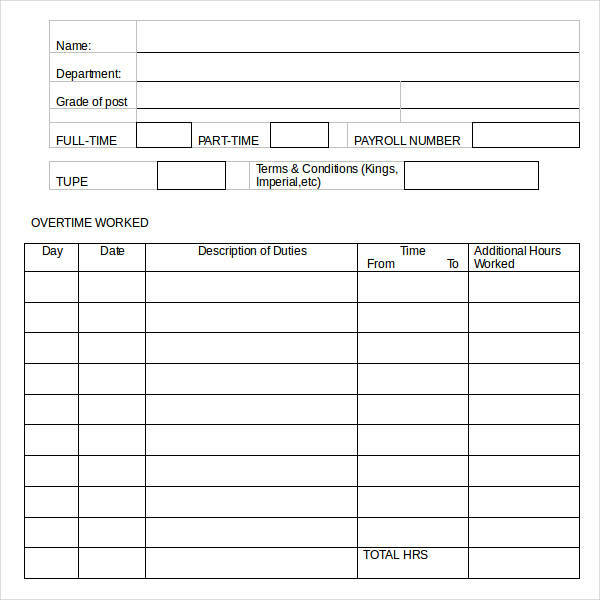 If you are looking for a quick and reliable way to keep track and record of important overtime data, then an overtime worksheet template is undeniably the tool that you need. Check out our website to learn more about worksheets and take a look at our awesome selection of worksheet samples and templates. Some titles you will find there are sample time worksheet and wedding budget worksheets.